I am recently taking up hunting for duck, geese, quail, and pheasant. I am trying to decide which breed of dog is best for me. I work M-T 9-5 i would sometimes be able to take the dog to work with me and my dad is home often so the dog could get some attention during the day. I have a medium sized yard in a beach community. There is a dog beach, a dog park, and a nature center to bring dogs to for exercise and when I go out the dog would usually go out with me. 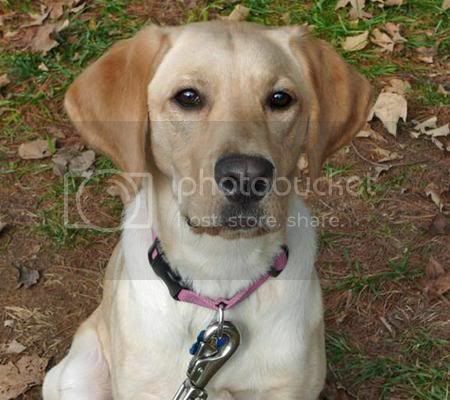 I am looking more for a good companion dog that can be trained as a gun dog. I would prefer a German Shorthaired Pointer but from what i have read up about them they need a lot of free space and A LOT of attention so I don't think that would be the dog for me. I prefer a short-haired dog but a fairly calm one at that. 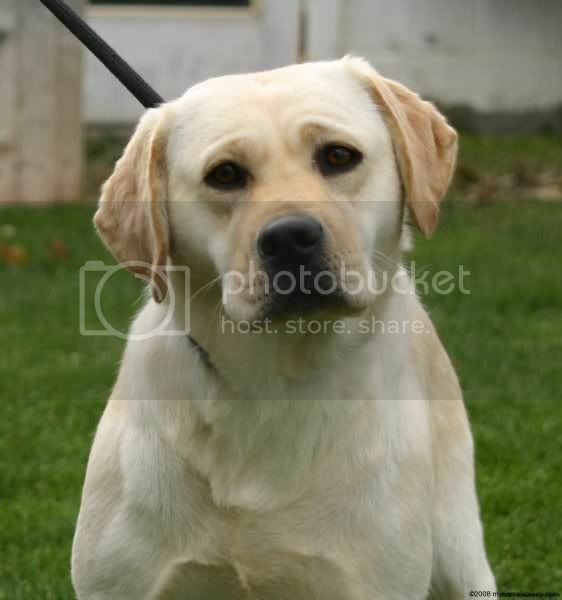 I have done some research and it seems like a Labrador Retriever is the way to go for my situation but I would prefer something a little more calm. (A friend has a black lab and it is extremely hyper and horrible on a leash and does not take commands very well. Is that something labs go through when they are younger since he is only about 2 years old or could that be the way he was trained by my fried or lack of training whichever the case may be?) Is there such a breed that any of you could recommend that is mostly a good loyal companion, good with other dogs and people yet smart enough to be trained? Any advice would be greatly appreciated. Doing some more research I came across the Estonian Hound. Can they be trained to be retrievers of birds? A lot has to do with the temperament of the dog. My GSP is only super hyper at nights if she has sat in a kennel for 6 hours plus. (didn't mean to asked my roomate to take her out and didn't) I came home to a hyper dog, but took her out for a walk and she settled down. Find a dog breeder that has a mother/father that you would love to have. Find the dog in the litter that most resembles the mother/father and hope for the best. This is what I've done and has worked very well. Buy a dog and love it is the biggest thing. Never regret what you have. From what i have seen is that the black labs are a bit more hyper than the other labs. Maybe it’s because all the black labs that i have seen come from hunting bred lines. 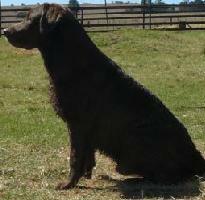 And my lab (chocolate) comes mainly from a show bred line and is much more easy going. But when we start working he is at full speed. I was worried when I bought my lab if he was going to hunt at all and he is still just 10 months but he is retrieving blinds carrying birds etc. In my opinion you just have to wake up the instincts in your dog. And it may be that your friend’s lab is not obedience trained correctly or not at all. All the labs I know are precisely what you described in your post. And don’t get me wrong i love GSP's and still want one but when the time is right. I think in general, any of the sporting breeds are going to meet your basic requirements. The specific characteristics that you are looking for and those you don't want are going to be determined by the lines within the breed and what the specific parents are passing on. Decide on a few basic needs and wants such as hunting style, body size, coat type, heat/cold tolerance and eye appeal to narrow your choice down to the breed and then do a lot of research into kennels that are breeding for what you want. 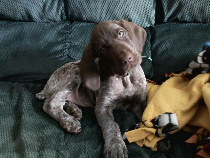 If a GSP appeals to you, you will be able to find what you want if you do your research into kennels. Make sure you check field trial lines, NAVHDA lines, and those from the German system (Deutsch Kurzhaar). For duck and upland, I would recommend you start with NAVHDA and the German System. Also if you didn't already know there are two types of Labs. There is the American Lab or the English Lab. The American Lab is hyper, lankier, and bread for hunting. The English lab has a bigger head, blockier body, shorter, and not as hyper. The English Lab is generally bread for being a show dog, but there are people who bread them for hunting. I'd say go with a English Lab. I own a GSP, but if you don't want to have a super hyper dog get an English Lab. My friend has both of them and the English Lab is calm and behaves very well in the house when the other is bouncing off the walls. Don't get me wrong though both of them would keep running for a ball until they die.